Amerikanis was one of three former Union-Castle Line ships bought and converted by Chandris Lines. 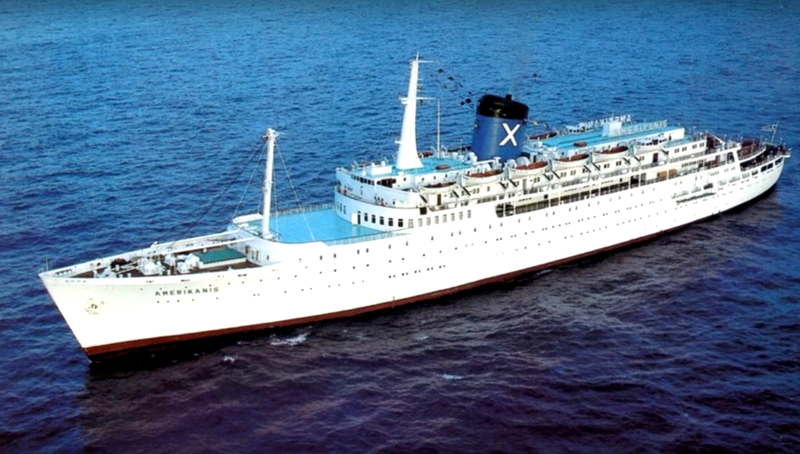 Originally launched as Kenya Castle in 1951, Amerikanis entered service for the Greek operator in the late 1960s and continued cruising until 1996 when she was finally laid-up. Being a dedicated cruise-ship from the start, Amerikanis boasted a number of popular features such as the ‘Aquamarine Bar’ and ‘Neptune Casino’. This illustration of 'Amerikanis' was completed in February 2019 by Michael C Brady and involved around 40 hours of drawing. Original plans and high-definition photographs were studied in order to maintain authenticity. Amerikanis’ rudder and starboard propeller. 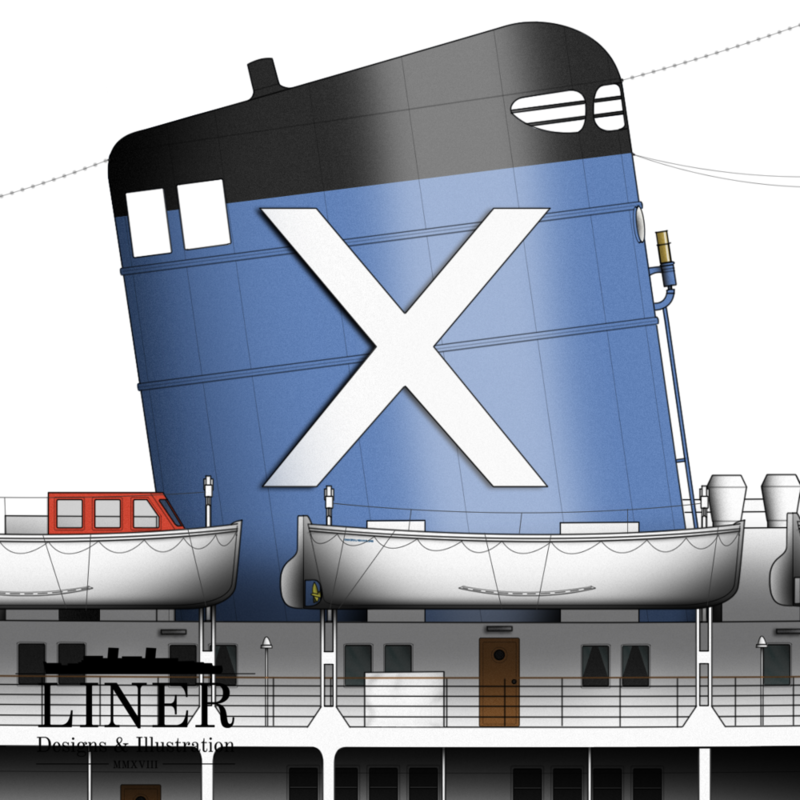 The iconic Chandris ‘Ch’ logo, a white cross on a blue background, adorned Amerikanis’ elegant cowled funnel. Her steam whistle was still operational late into her career and was occasionally used - to the delight of curious passengers. Astern and towards the popular aft sun decks. As on most cruise ships of the era there was a pool and bar located here in full sunlight.